Godzilla seems to destroy almost all four-wheeled opponents, but how does it do against a challenger that rides on two? There&apos;s something undeniably awesome about watching a Nissan GT-R go toe-to-toe with a sportbike on the track. Pitting a GT-R against a motorcycle may seem like an unfair matchup on paper, given it boasts a killer engine and a little thing called launch control. 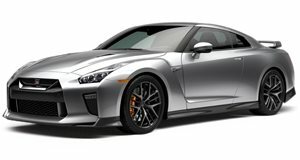 However, as you&apos;ll soon see, all of the launch control and horsepower in the world isn&apos;t enough for the no-holds-barred GT-R to completely smoke these sportbikes. A stock Aprilia RSV4 Factory APRC SE and 2010 GT-R go head-to-head in this video. The 180 bhp bike and the 530 bhp GT-R compete in a two lap race around the 0.9 mile Monticello Mushroom. The winner of this race (and the time he won by) may surprise you. All the launch control in the world isn&apos;t enough for Forged Peromance&apos;s GT-R to completely dust a Honda GBR through a 1/4 mile. Skip to the 1:29 mark if you want to watch the awesomeness from inside the GT-R.
Autocar proved that the Nissan GT-R is more than capable of laying the smack down on a Ducati 1098s. Ducati fanboys are going to want to avoid this video at all costs. It&apos;s that brutal. Leave it to the Russians to drag race the GT-R Switzer P800 against a Suzuki Hayabusa. The biggest surprise throughout this six-minute-long video is that there are no horrific crashes or fistfights. Russians do tend to get a little crazy when they&apos;re behind the wheel. The GT-R Switzer P800 faces off against a Kawasaki ZX-14 Ninja in this video. Unlike the Suzuki Hayabusa in the above video, the Ninja actually stands up for itself against the GT-R. The fact that no epic crashes or brawls occurred during the filming of these races is something of a miracle.